This demo reel shows some Java Post Production projects, including examples of our aerial photography, animation, TV/web commercials, series television, corporate videos, documentaries, and feature films. Below are some stills taken from various video projects in the demo reel. 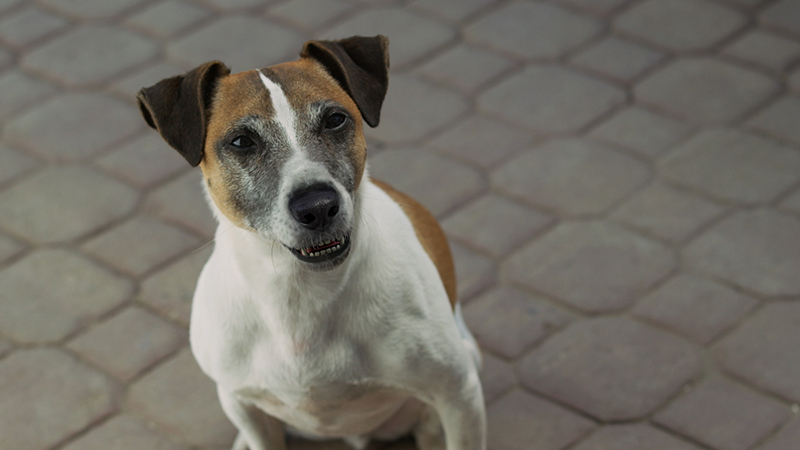 A scene from the award-winning film The Shape of Rex. Nancy Robertson (as the robotic, laser-eyed Wanda Dollard) and Fred Ewanuick (as the amazed Hank Yarbo) in the feature film comedy Corner Gas: The Movie. We make a dog talk with the voice of Michael J. Fox in the movie A.R.C.H.I.E. 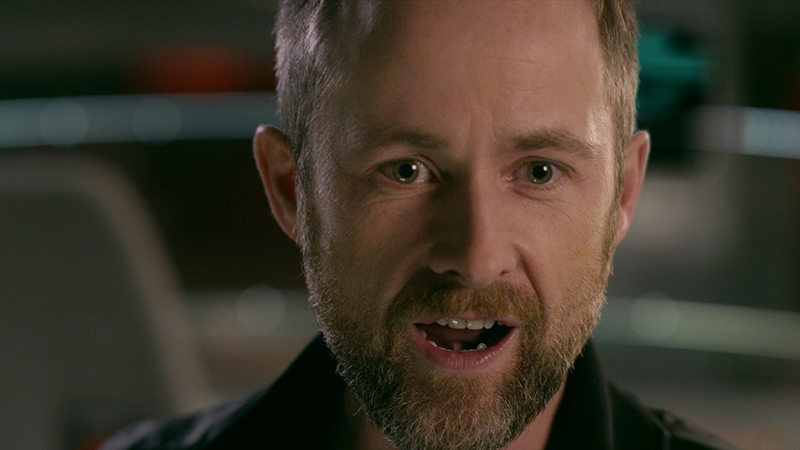 Billy Boyd on the set of the sci-fi comedy film Space Milkshake. 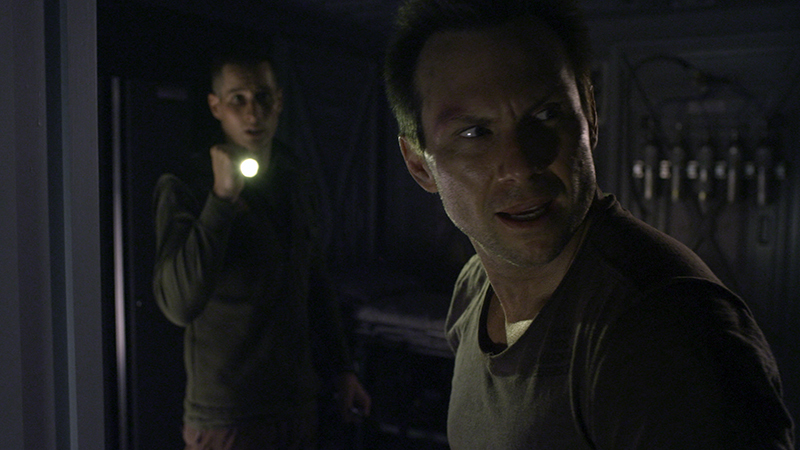 Christian Slater in a scene from the sci-fi thriller feature film, Stranded. 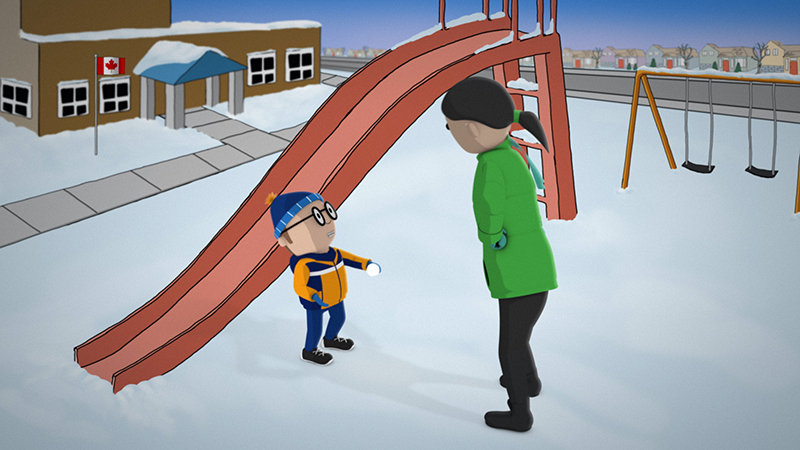 Some 3D animated snowball fun in a commercial for the Canadian Union of Public Employees (CUPE). 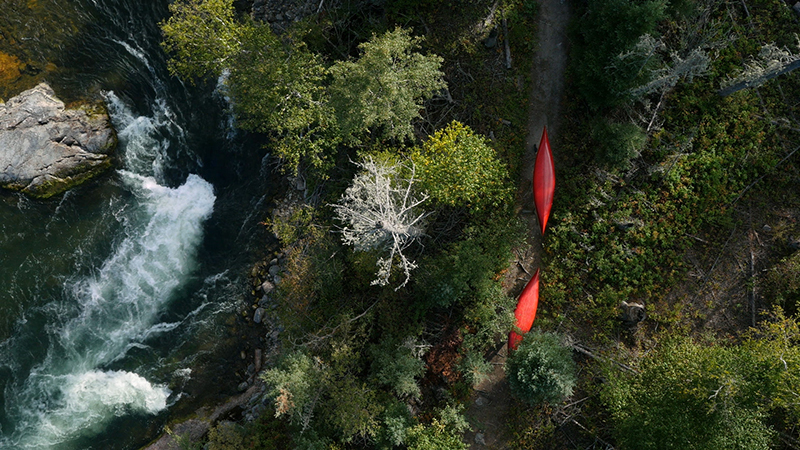 A beautiful overhead image of canoeists portaging around a waterfall captured by Java Post Aerial Photography for Tourism Saskatchewan. 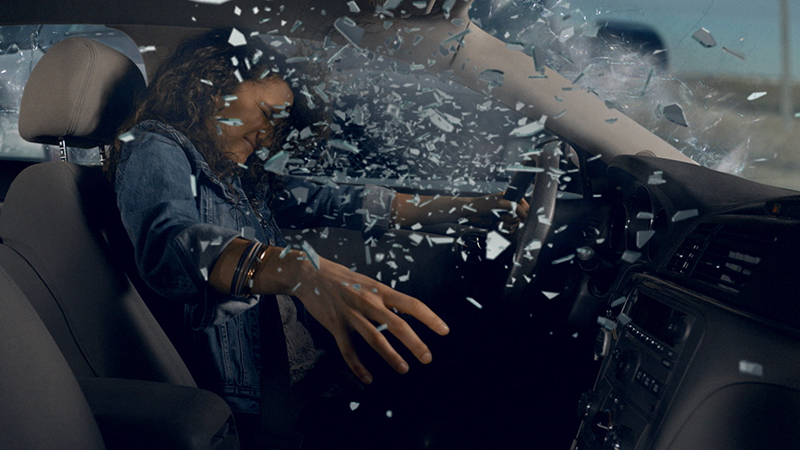 Using ultra-slo-motion photography and visual effects, we capture the moment of impact for a Saskatchewan Government Insurance (SGI) television campaign. 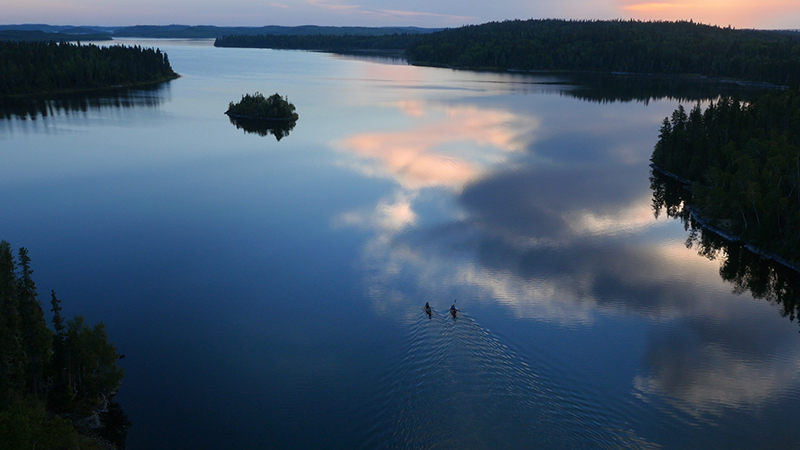 The Java Post Aerial Photography crew captures a stunning shot for Tourism Saskatchewan.